We pride ourselves on offering service and support above and beyond the typical company. With our strong relationships with prominent manufacturers such as Pioneer, Panasonic, JVC, Verbatim, Hoei Sangyo, TechWerks, and many others, we are able to provide the latest technology at competitive prices. 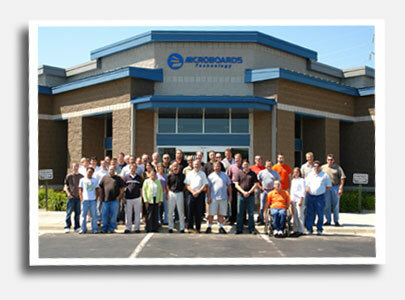 Our manufacturing arm, Microboards Manufacturing Inc., gives us capabilities beyond the typical distributor. Thanks to our skilled design team, Microboards has the ability to offer products tailored to the demands of the industry. We hope you find your visit to our website informative and helpful. If you have any questions at all, please don't hesitate to contact us by any of the methods listed above, or by using the yellow contact form on every page of the site. If you can't find it on our site, a representative will be happy to get you in touch with the right people to help.